Men of all ethnicities can get razor bumps as a result of shaving, but black men seem to suffer from them more often than people of other races. Up to 80% of men who get razor bumps are black. As a result, black men need to be especially careful when shaving to prevent the development of ingrown hairs. The main reason why black men get razor bumps more often than their white or Asian counterparts is because coarse and curly hair is particularly likely to become ingrown. A razor bump forms when a hair that has been cut off close to the surface of the face turns around and begins growing back into the skin. Because curly hair naturally turns back towards the skin during growth, it is much more likely to develop into razor bumps. In fact, a study published in the Journal of Investigative Dermatology showed that curly hair is 50 times more likely than straight hair to become ingrown. By looking at the genetic code of families affected and unaffected by razor bumps, the authors of this study were able to find a particular gene which is unusually common in people who are prone to ingrown hairs. As hairs curl back into the skin, they can cause irritation and inflammation, which is made much worse by continuing to shave after razor bumps have developed. The body responds by producing collagen to repair the damaged skin. This can sometimes lead to keloid scarring, where the collagen spreads into healthy tissue to leave a noticeable scar. Darker skin types are more prone to keloid scarring than lighter ones, which means that black men are not only more likely to suffer from razor bumps, but they are also more likely to develop scarring as a result. Keloid scars can be very noticeable on black skin, and can be a real blow to the confidence of black men. As studies have estimated that the risk of keloid scarring is 15-20 times greater for people with darkly pigmented skin, it is particularly important for black men to learn effective techniques for preventing and treating razor bumps. Even though your genes and ethnic background can leave you vulnerable to razor bumps, there are things you can do to protect yourself. The most obvious solution for razor bumps is to stop shaving, but of course many black men are not willing to give up the clean-shaven look. If you do not feel like growing a beard, then following these shaving tips could help you to avoid ingrown hairs and skin irritation. Black men are advised to avoid shaving very close to the skin. Stubble is less noticeable on black men than Caucasians, so it is possible to get a clean-shaven look using a single-blade razor that cuts off hairs around 1mm above the surface of the skin. Always shave in the direction of hair growth. Shaving against the grain can tug at the skin and make razor burn more likely. Use warm water to wet the skin to soften the hair and open the pores. 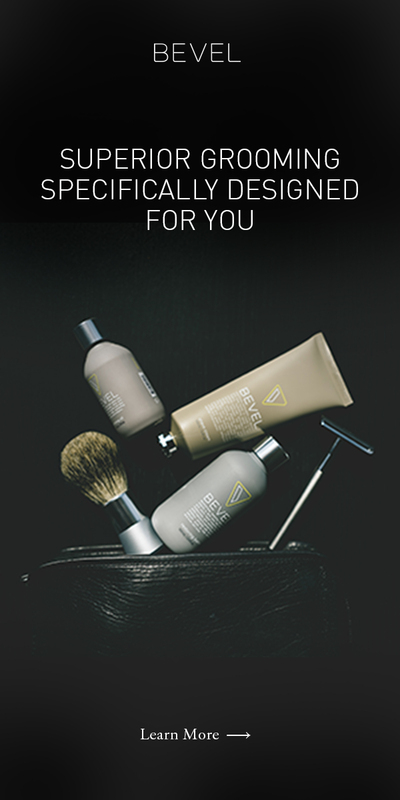 Always moisturize after shaving to soothe the skin. If you do get razor bumps, avoid shaving until they heal. Continuing to shave can lead to painful irritation and scarring.